Click here to see available coupons from Retail Me Not. 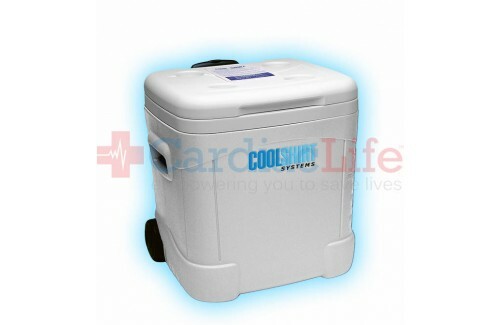 The COOLSHIRT 6-Person Multiperson Cooler Only (IceHole) is a modified ice hole cooler that keeps your employee cool in mobile or hot stationary repetitive task environments. Consistent use of the system will help keep the employee safe, mentally alert and productive by helping to maintain a safe core body temperature while performing their tasks. Additional COOLSHIRTS can be ordered separately to allow the users to move about and "recharge" at a cooling station as needed.